If you just type into Google “What is an Entrepreneur?” you will probably receive back a really basic, dry definition, which I actually disagree with. The basic definition according to most people is someone who organizes and operates their own business or multiple businesses. Usually entrepreneurs are said to take on a large financial risk in order to do so. Believe it or not, there are multiple ways in which you don’t have to fork over all your hard earned cash to become a successful entrepreneur. In addition, If this is what you think of when you think entrepreneur then I urge you to read what I have to say. An entrepreneur is not just limited to owning their own business. In addition having your own business does not make you an entrepreneur. In order to really achieve this status there are qualities that you have to instill within yourself. So let’s get into why these qualities apply to entrepreneurs. In order to create a successful business in any platform you have to be dedicated and committed to what it is you are pursuing. Without dedication you will often times quite every time you hit a road block, and believe me, there will be road blocks! Did you know that the road to success is paved with failure? Failing should not be a deterrent, yet a learning experience. Passionate people are the people that you listen to whether you like it or not. If you think about commercials, advertisements, blogs (like this one), or anything else you read and listen to you will shortly realize that you pay attention to passionate people. Even in your own life I’m sure you encounter passionate people at your day job, at school, at home even. Aren’t you much more willing to listen to that guy standing in front of the PowerPoint clicking around if he’s blatantly passionate about what it is he is presenting? The answer is YES. So be passionate, be excited, find your niche, and roll with it. Usually creativity is where people are turned off. To be honest I feel sometimes like I’m not the most creative person in the world, and this is probably true. However, what you will realize is that as you develop your passions more and more, and you stay dedicated to them, creative ideas about these passions will begin to form in your head. It will become easy to generate new ideas, new things to write about, and new thoughts on growing your own business. Be creative, write down your most interesting ideas from each day, and start to reflect on them. I know I do a lot of my creative thinking at night while laying in bed, unfortunately. Following this method has me jumping up and writing different things down until 2am every night. But, my creativity and my ability to build on these creative ideas has been extended so greatly just by reflecting and actually attempting to implement these ideas! I know this seems like a dead giveaway. Many people think how would I ever not be genuine? Are you doing something that would make you question your ethical values? If so it’s likely not the right thing to be doing. There are many sites and programs out there that will offer you the world. Essentially they rope you into the law of diminishing returns and you never turn a profit. This is unethical! Don’t be someone who does not offer value to the people that you communicate with. My goal is to always be providing good, quality insight to my readers and to help them succeed with their personal endeavors. By providing a quality service, quality content, and a great communication platform, you are opening yourself up to a world of success. 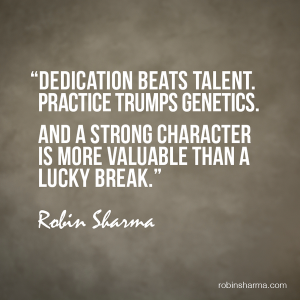 Those who work hard and stay true to their core values will be the most successful. 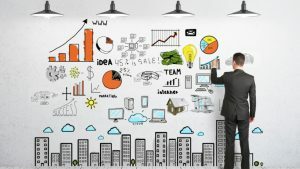 If you want to be an entrepreneur, and you aren’t sure where to start, check out the link below! Sometimes we all need a little help, and building a website with writing of code, themes, and ideas is really a lot of hard work. However, you can learn how I’m managing and what has been a key element of success for me by heading over to Wealthy Affiliate and going through their FREE program. I really do recommend you give it a shot, and most definitely leave a comment on my page and let me know what you think. Check out my review of the program here.